For those who light up your life...a special way to light up theirs! 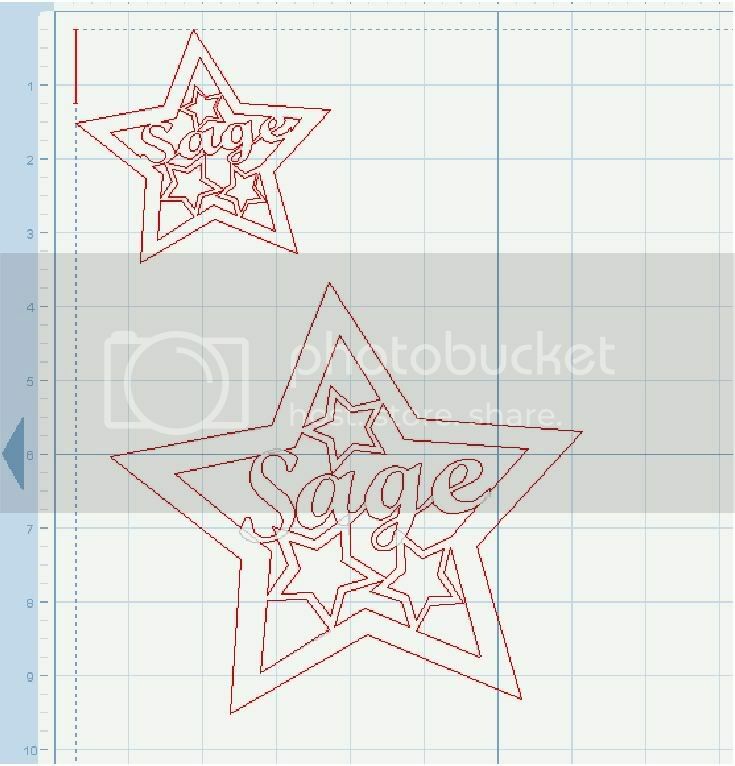 I thought of this especially for children or grandchildren...many night lights have a flat surface so I thought it would be easy to personalize...of course, it could be any favorite theme or design, too, but I chose to do a name with a star template surrounding it. After cutting it in black I used a translucent light blue paper. this basic design could be taken in and a name added. You may also do this right in SCAL. The lower image is the name typed in right in SCAL. I moved the S closer and then selected weld in the properties box and then overlayed the star template and selected weld again. Preview to make sure it is welding properly. The disadvantage to this approach is resizing isn't as easy. I also like creating additional connectors for the letters that might not normally weld together, so in this case, I created a connect between the 'S' and the 'a' in the top one. The size is about 3"x3½" but I think it could easily be larger. I didn't want to cover the sensor but 4" would work well. This could be an easy design for a lamp, too, besides name tags or cards. 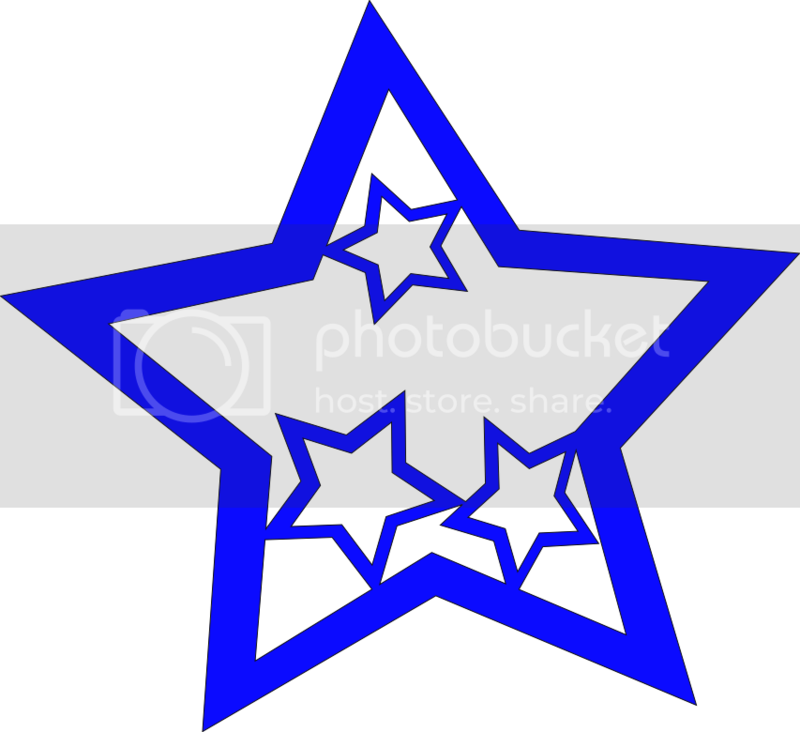 The star template will be added to my "More of my Scal images" file in the sidebar. great idea...just found your blog!! love it thanks for sharing!! Thanks for visiting me! I'm glad you liked the idea...I currently have the blue swallow from prob21 off the scal forum as my nightlight. It's really beautiful!